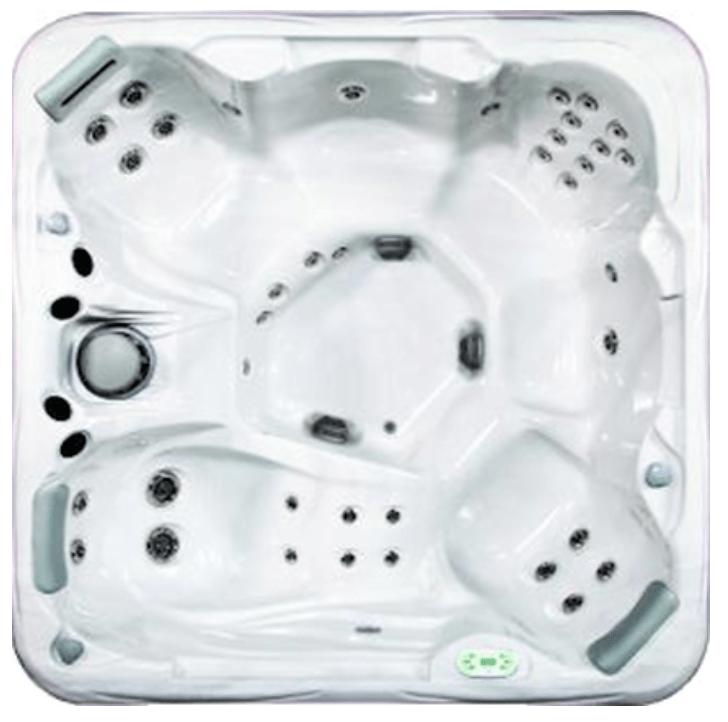 Providing a huge range of hot tubs for you to choose from. We are UK based! We are proud to boast that we have over 100 years of combined spa manufacturing experience. We work to make your hot tub experience as satisfactory as possible with our service packages. Platinum Hot Tubs Essex always working with our supplies based on customer feedback to ensure we are providing you with the best possible rates available. We also run special offers. We are based in the UK and so are our Artesian suppliers. To find out about delivery and installation of your hot tub please contact a member of our team today to discuss how we can help you with your dream buy. We provide the best hot tubs at the best possible prices with the best level of customer support available. How ever we don’t expect you to take our word for it. Read our reviews by clicking the Google badge above. We provide ongoing help and support after your purchase has completed. You may require water care products or accessories to ensure your hot tub continues operating optimally. We are here to help! Our experience has taught us that although it is extremely important to provide a quality product, customer care is significant in your decision-making process and Platinum Hot Tubs will always hold this as our Number One priority. 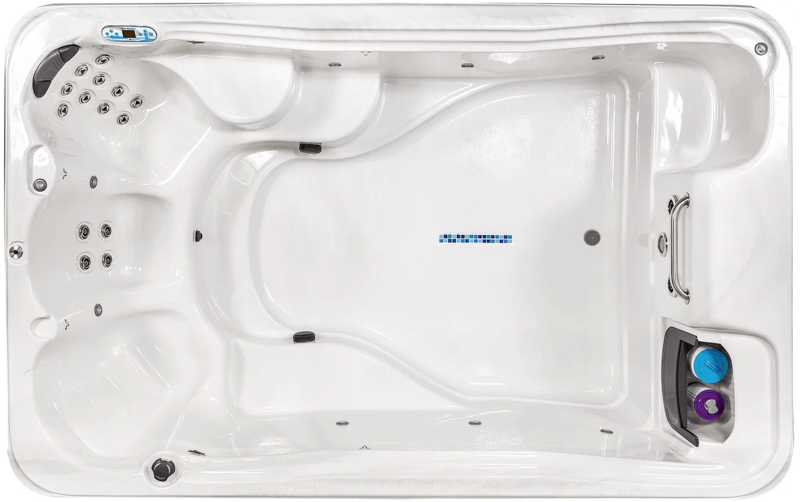 Platinum Hot Tubs have teamed up with Artesian Spas to provide first class customer satisfaction, unrivalled warranties and a range of USA products that suit all budgets without comprising on quality. Amazing! My partner and I took a while to find the right hot tub due to making sure it fit in our garden! We found the Iris 4 person and visited John to have a look at the hot tubs. John was really helpful and gave a good explanation of the options and timescales. What I liked is that he put no pressure on us to buy one and we felt at ease throughout. Only 3 days ago our hot tub arrived and John was here to make sure everything went smoothly. Even after it was installed he was available for advice and I am so glad we bought from him, a top company with quality hot tubs. Definitely recommend! Amazing service from start to finish and to say we are happy with our hot tub would be a MASSIVE under statement! We were sat in it at 6am in the snow on Sunday morning totally amazed at how we could be outside in such cold temperatures but feel so warm and to lay there late at night and watch the sky and stars is awesome!! As we haven’t been able to get away on holiday for a while we thought we’d invest in a hot tub to relax at home: a friend recommended Platinum at Braintree and we couldn’t be more satisfied with the knowledgeable, friendly, service that John and his team have provided. Ordering and installation were straightforward and importantly follow up was excellent. In a matter of a few weeks from our first visit we are enjoying all the expected benefits of a super garden spa, as well as finding that “tub time” is a perfect way to catch up with each other in an otherwise frenetic world ! Can’t recommend this company enough. From the initial order until delivery it was a top class service. John who owns platinum hot tubs ensures that installation runs smoothly and couldn’t be more helpful. Customer service is first class. We ordered the platinum elite hot tub and couldn’t be more pleased with it. John had explained that every seat has its own pump and control panel but we didn’t realise how great this was until we used it. We have a nine seater so there is always someone who wants the jets on, someone else off, someone else strong jets and others soft so with this tub you can all have exactly what you want. The quality is second to none. Very pleased and highly recommend. After looking and wanting a hot tub for years I found Platinum hot tubs. I have looked at lots and lots of hot tubs from different companies but was very impressed with platinum. Decided the monte carlo model was the one for me. 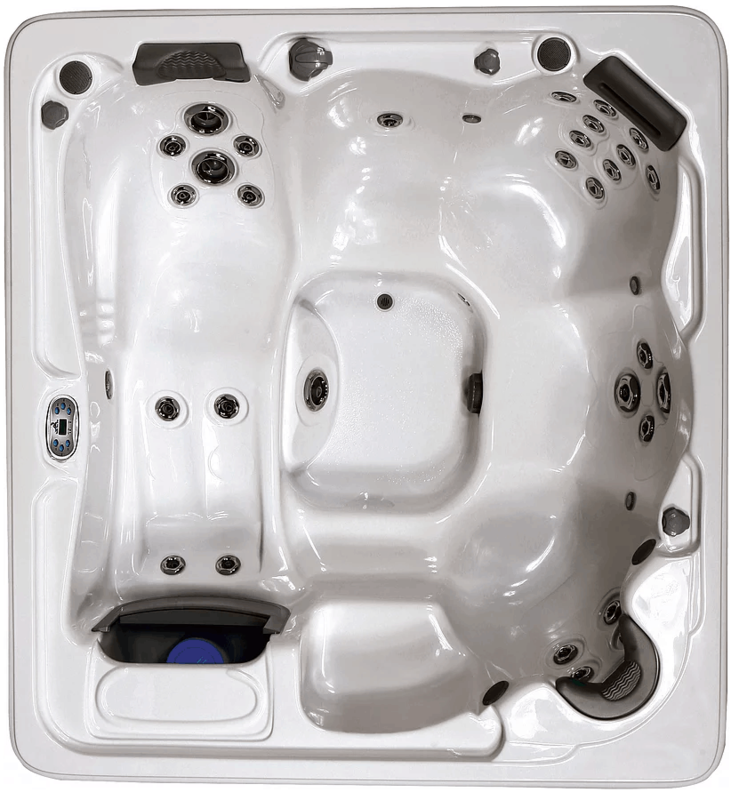 I couldnt find the same spec hot tub for the same money anywhere, lots of cheap tubs out there which promise 100 jets and sound system but only had one small pump with a tiny heater plus had very bad reviews from customers and the companys had changed their name many many times to try and distance themselves from the 1 star reviews. Some even had Facebook pages setup to talk about how bad they were.I spoke to John at platinum many times about different tub and he answered all of my questions without the hard sell. very happy with how smooth the installation was and the tub itself is brilliant, the whole family love it. If you want a hot tub then I would definitely recommend going to see their range. After lots of research and shopping around we decided to buy from platinum hot tubs and I’m so glad we choose them, from sales to delivery to there aftercare they have been great! Delivery was on time and went smoothly and after care has been amazing, as this is our first hot tub we have had to ask lots of questions and John has been great it’s nice to pop in and see him as his always happy to help 😊 definitely recommend platinum hot tubs! You simply cannot praise John and his team enough. He bends over backwards to provide the best service he can. Nobody else could ever compare to him in terms of what he offers, his service and his perfect mix of professionalism mixed with friendliness. Thanks once again John, for helping service and repair my poorly tub. Always go see John for advice and my chemicals. Great prices and unbiased assistance thoroughly recommend. Excellent service from time of enquiring to delivery to after sales. Extremely happy with advice given and hot tub chosen, suits our needs. Was happy to be supporting a local business at the same time. John and his team are very helpful before, during and after our purchase. Would definitely recommend to anyone considering purchasing a hot tub. Great company. Professional, knowledgeable, friendly staff. Highly recommend. Excellent service and aftercare. Excellent services from our first enquiry to the instillation of our Hot Tub .Answered all our questions and explained how everything work really well as we had no idea what we were looking for to start with , instillation team really efficient and I was amazed how quickly the HotTub was installed. Thank you. Fantastic Service provided from John at Platinum Hot Tubs, wasn't 100% sure what we wanted when we were looking for a hot tub, after speaking with John everything become clear, very helpful, very knowledgeable, delivered and installed yesterday without any issues, install team were great, even offered to help me put the fence back up that I removed for access!Highly recommended. Can't recommend this company enough. From the initial order until delivery it was a top class service. John who owns platinum hot tubs ensures that installation runs smoothly and couldn't be more helpful. Customer service is first class. We ordered the platinum elite hot tub and couldn't be more pleased with it. John had explained that every seat has its own pump and control panel but we didn't realise how great this was until we used it. We have a nine seater so there is always someone who wants the jets on, someone else off, someone else strong jets and others soft so with this tub you can all have exactly what you want. The quality is second to none. Very pleased and highly recommend. Great Service - John arranged for our old hot tub to be removed and the new one installed. this was no easy task as one had to be lifted out over the garage with a crane and then the new one lifted back over. All went very smoothly. The Nevis is absolutely brilliant - just back from a long bike ride so off to soak the muscles now. Thanks for a 5* service. We have visited John and his team several times for advice on a new hot tub and also chemicals to keep our daughters paddling pool clean. First class knowledgable service and friendly team. Would highly recommend for all your needs regardless of whether it's a small pool to a large spa pool. Popped in today after looking at many hot tubs but not really knowing what I'm looking at. John was very helpful and informative. Spending about an hour explaining about everything from types of tubs to maintenance. Came away very happy with the service as not once did my partner or I feel pressured into buying one. If we do purchase one we will not be looking anywhere else. Thank you. We have recently bought an Intex hot tub elsewhere but had been given no guidance whatsoever about how to use chemicals to keep the water clean and safe. Friends told us to talk to John at Platinum Hot Tubs which we have just done! What a friendly, helpful and approachable guy! Thank you so much John. We now have exactly what we need to keep our water in tip top condition! Bought a hot tub from John had it delivered and installed the next day with an engineer. Told me how to care for it and has looked after me ever since. Great price! Great Tub and top serbive. Will be buying an upgrade in the future of him! We are really pleased with John's work. Our hot tub looks brand new after the service on Thursday. Fantastic advice and amazing service. We would highly recommend. Great customer service and excellent range of tubs! We have wanted to buy a hot tub for years and finally took the plunge (!) and had our tub delivered on Friday. We cannot recommend John highly enough. He is so knowledgeable and listened to what we wanted to make sure we bought the right model for us. The delivery and installation was first class, arrived first thing in the morning and was installed and filled and heating up by mid morning. John came back that evening to ensure that we were happy and to answer any concerns and is always at the end of the phone if we need anything. We are so so thrilled, it's the best decision we made and cannot recommend John and Artesian hot tubs highly enough. Thanks John! Having decided to buy a hot tub we looked at many places but only Platinum Hot tubs went that extra mile to ensure we purchased what we needed. I suffer from an auto immune disease and finding the correct hot tub was of great importance. John took the time to listen to our requirements and let me try getting in and out of a hot tub to ensure it was right. He came to our home to ensure we had the right space and accessibility and discuss further queries we had. I can honestly say that this was a great purchase and significantly helps my condition. John is always available to answer questions we may have. I highly recommend Platinum hot tubs to everyone. I have a artesian hot tub from John ...Best decision made he went above and beyond fantastic tub great customer service always willing to help nothing is ever a bother no matter what time of day A⛤company to deal would recommend without hesitation.